Cinderella, fresh off a $132 million global box office debut last weekend, marks the latest in a growing string of live action fantasy hits from Disney. As we discussed last week, the trend represents a previously overlooked facet of the studio's resurgent family appeal. Fresh off the press yesterday was the release date set for one of their next fairy tale efforts, so it seems like a good time for a brief look at that and several other upcoming entries in Disney's newfound "cinematic universe". Director Jon Favreau (Iron Man, Elf, Chef) tackles this latest edition of Rudyard Kipling's 1894 novel, set to feature voice performances from Scarlett Johansson (Kaa), Bill Murray (Baloo), Ben Kingsley (Bagheera), Christopher Walken (King Louie), Idris Elba (Shere Khan), and Lupita Nyong'o (Raksha). Young newcomer Neel Seethi fills the live action roll of Mowgli. 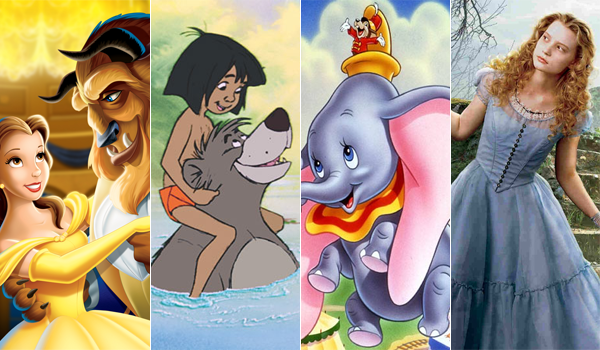 Disney attempted a traditionally animated Jungle Book sequel in 2003, as well as a 1994 live action feature, but each were met with lukewarm results at the box office (generating less than $50 million domestically each). In fact, no Jungle Book effort has ever matched the original 1967 animation's success, which earned nearly $74 million in its day (more than $465 million using today's ticket prices), plus another $68 million between two re-releases in 1984 and 1990. 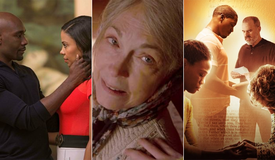 With a talented cast and crew for the 2016 outing, it seems likely to find more success. Of note: this film precedes Warner Bros.' own iteration of the property, The Jungle Book: Origins -- set to be directed by Andy Serkis, with an all-star cast its own, for an October 6, 2017 release. Six years after Tim Burton capitalized on the 3D craze and delivered a $1 billion blockbuster with Alice in Wonderland, Disney returns to the well with much of that film's cast set to reprise their characters. Most notable is the return of Johnny Depp's Mad Hatter, who proved to be a significant draw for the 2010 flick. Unfortunately, Depp's box office power has diminished since then, and so to has the 3D craze which significantly boosted the previous flick's appeal just months after Avatar hit theaters. Nevertheless, the actual 1871 Lewis Carrol follow-up book of the same title has its share of fans. Anne Hathaway (White Queen), Mia Wasikowska (Alice), and Helena Bonham Carter (Red Queen) all return, although Burton won't be; instead, The Muppets director James Bobin takes over the reigns. It's hard to imagine Looking Glass getting anywhere near the surprising box office numbers of Burton's entry, especially with the move from a spring release to what looks like a very crowded May in 2016. The sequel is currently set to open directly against Bryan Singer's X-Men: Apocalypse on Memorial Day weekend. Still, some of the Disney faithful could still turn out for this given the amount of goodwill behind the studio's projects right now. It was only recently reported that Dumbo would be the next classic remade as a live action flick, so details are few and far between. What we do know is that Tim Burton will return to the Mouse House for directing duties. There's not much box office precedence here as the original 1941 animation (distributed by the iconic RKO) predates any relevant comparisons, but Burton has proven with films like Big Fish (happening to prominently feature a circus in its own plot) that he's capable of delivering heart alongside his unique brand of fantasy. This is in the very early stages of development and likely won't see release before 2018, but, forgive the pun, keep your ears open. Just given its release date yesterday, this remake may have the most potential on Disney's fairy tale slate. Emma Watson takes the seemingly pitch perfect role of Belle, while Bill Condon (Dreamgirls) will return to familiar musical grounds. Fans of the classic 1991 animated version will also be happy to hear Oscar-winner Alan Menken is set to score the film's soundtrack, to feature new renditions of that film's classic tunes as well as original songs by Menken and Sir Tim Rice. The 1991 box office sensation was that year's third-highest grossing movie with $146 million (around $290 million in today's ticket prices), and has gone on to become an endearing classic. 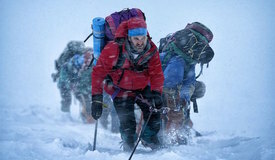 The film enjoyed a successful IMAX re-release in 2002, followed by a somewhat modest 3D run in 2012. With a cast already set to feature Luke Evans (Gaston), Emma Thompson (Mrs. Potts), and Kevin Kline (Maurice) in addition to Watson, not to mention kids and families looking for the next Frozen-like musical experience, Beauty and the Beast has the early makings of a probable blockbuster. 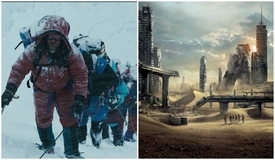 Which of these films are you looking most forward to, readers? Dumbo sounds interesting but Burton hasn't directed a good movie since Big Fish.